Make your family holiday a memorable one! Going on a whale watching cruise with your children is a really fun family activity that everyone can enjoy. But before you head onboard there are some things that you should do to make sure the day goes as smoothly as possible and that your children have the best time. If you’re a parent you’ll be well-acquainted with the amount of planning and research that is required before embarking on any activity with your children. Depending on their ages and their temperaments, you may find that some day trips are more suitable for your family than others, but something that all children can find enjoyment in is whale watching. There are many types of whale watching cruises in Sydney that differ in duration times and the type of boat. If you have older children you may be more inclined to choose a long and luxurious cruise (3-4 hours) that serves lunch. Or, if you have younger children and are worried about keeping them occupied and engaged for a long period of time, you can opt for a 2-hour cruise instead. There are also safari-style cruises on offer, but these aren’t recommended for children under 12-years-old. 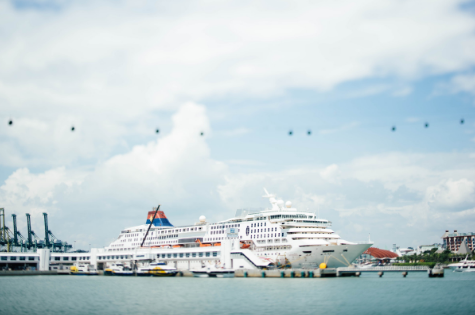 You may also choose to consult cruise specialists, travel agents and even internet forums to determine whether embarking on a cruise is the right choice for your family. You might find that babies under 12 months aren’t advised to come onboard, but this totally depends on the type of cruise you choose. On a whale watching cruises people will do a lot of moving about to get the best view of the whales, and sometimes this can be stressful for children. Therefore, if you have younger children you may consider booking onto a larger cruise with plenty of seating and shade, as it will be a lot more comfortable for them and you can avoid the bustle of crowds. The humpback whale migration is spectacular in the southern hemisphere. Approximately 16,000 whales migrate past Sydney every year between April and December, and that number increases year-on-year. This means that you are almost guaranteed to spot a whale when you set out on a whale watching cruise in Sydney, and this is something you can get your kids really excited about. Preparation is crucial when you have an upcoming day trip with the kids. You might already carry around a lot of things for your children on a standard day, but heading off on a cruise with children requires a lot of packing. SPF 50 sun cream - Children should be lathered in sun cream lotion whenever they’re out and about, but this is of utmost importance when they’re out at sea. The sun’s glare is strong, and when it reflects off the water the risk of burning is higher. Protect your children’s precious skin and make sure you have a full bottle in your bag. Hat(s) - Keep your children extra sun-safe with a hat that covers their face and the back of their neck. It might not feel as if they are overheating when at sea, due to the strong breeze, but there is always a chance of sunstroke, so you must take precautions. Water - If you go on a whale watching cruise you will most likely be supplied with water. However, you should bring some of your own along too, and encourage your children to sip on it throughout the day so that they stay hydrated. Snacks - Similarly, make sure to pack snacks. The cruise you go on may provide food, but you shouldn’t rely on it. Pack plenty of nutritious snacks you know your children will enjoy ensuring they remain well-fed throughout the excursion. Toys - Younger children might not be too fussed about whale sightings, and they could start to act out if they get bored or restless. Pack their favourite toy(s) to keep them occupied and comforted throughout the trip. Warm layers - It may be hot out on the cruise in the middle of the day, but the temperatures out at sea can drop dramatically as the sun goes down. Always pack a warm jumper for your children to wear to keep the chilly breeze at bay. Travel sickness tablets - The water can be choppy out at sea and there is a lot of motion that can throw everyone off balance. If you know your child suffers from motion sickness, urge them to take motion sickness tablets before they go on the boat, and maybe pack sick bags. Going on a whale watching cruise is an exciting experience for the whole family. Before you go on the trip explain to your children what to look out for and educate them on different types of whales and how many of them migrate throughout the year. You can even create a little game with your children where you tally up who spots the most whales, and this will help to keep your children engaged. You should also tell them what you expect in terms of their behaviour when on the cruise, and what the day will be like for them. By preparing your children as much as possible before the trip, your day will have minimum stress and maximum enjoyment! When you have taken note of the above tips you can be sure that your day will be super enjoyable and your children will be happy. And hopefully, you’ll spot lots of whales!